The drive's shape is what drove this design for WD. The metal finishes highlighted the details on the products. Inline displays with vinyl graphics or magnetic graphic easily updatable. The challenge is to explain how the different Misfit products work together. 3D Systems has been evolving with its products, and now has a stronger brand image in retail. These displays allow the printer to run. 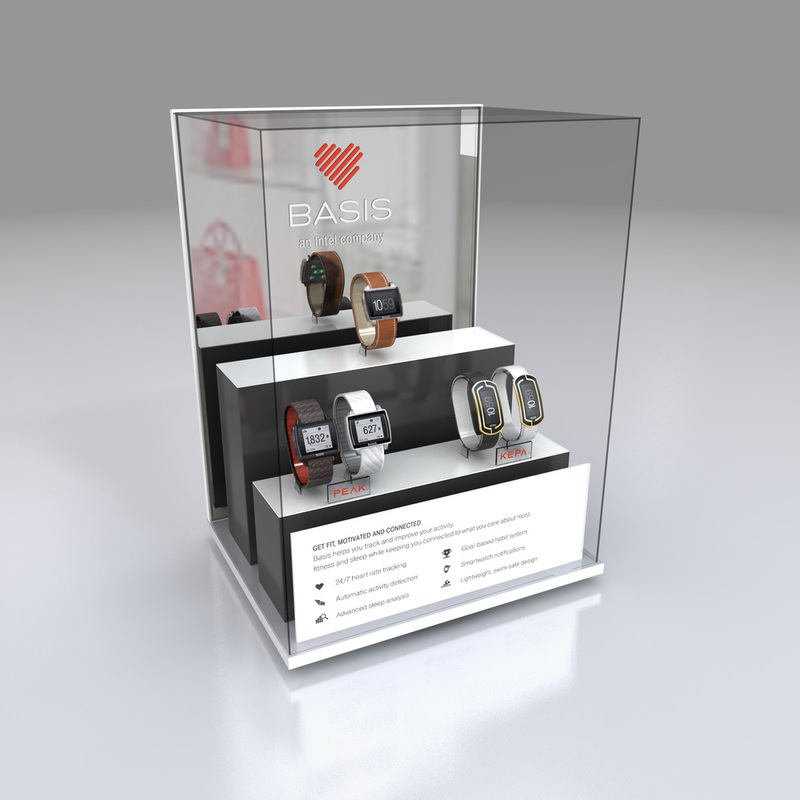 We have the opportunity to work with emerging brands like Basis, and create a unique style of retail displays with them. We helped develop WD's retail style, and applied it to different endcaps. 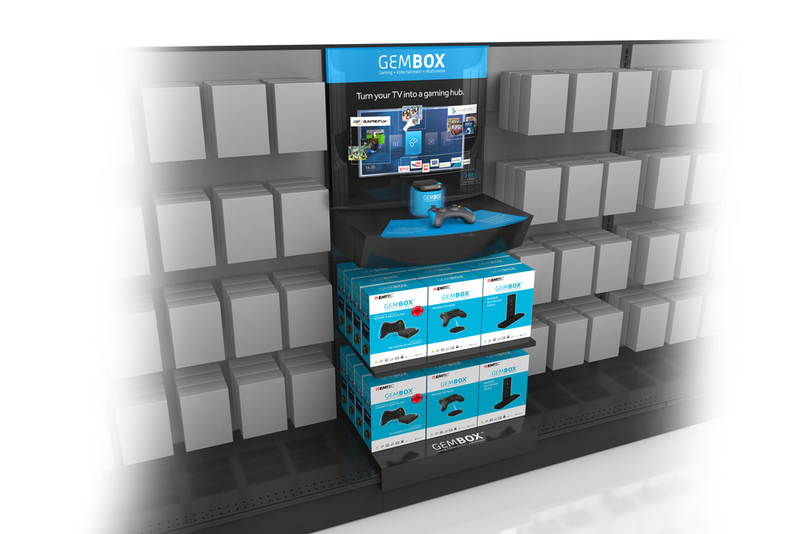 2ft Inline, 4ft Inline, Freestanding display for Gembox launch in retail. It has a lit up pedestal for the product, and a TV screen to play the brand's messaging. 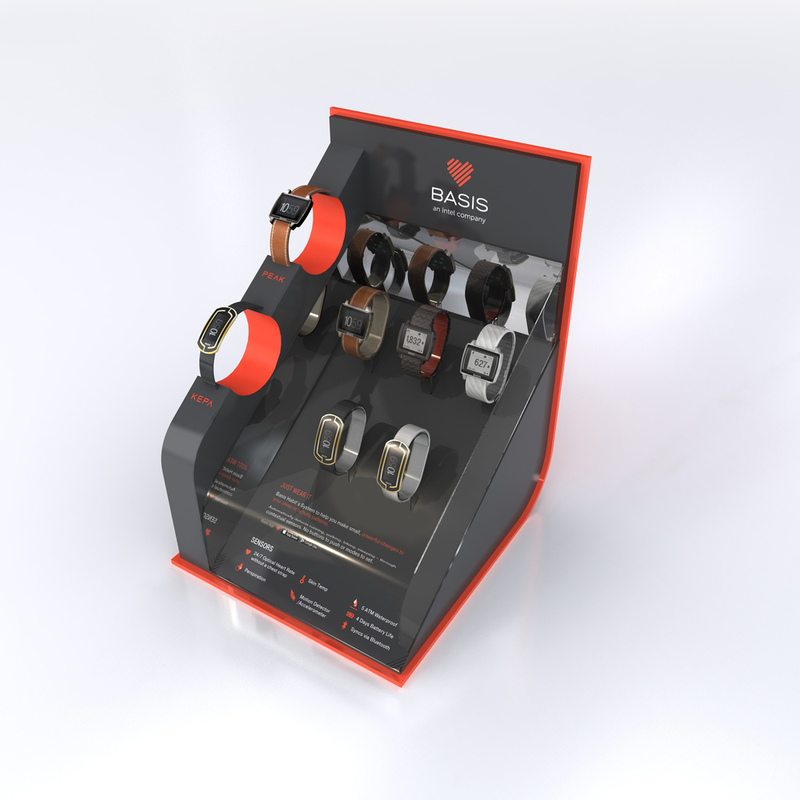 Staples recently redesigned with us their Connected Home and Tech Wearables sections. Here is a few example of the displays. 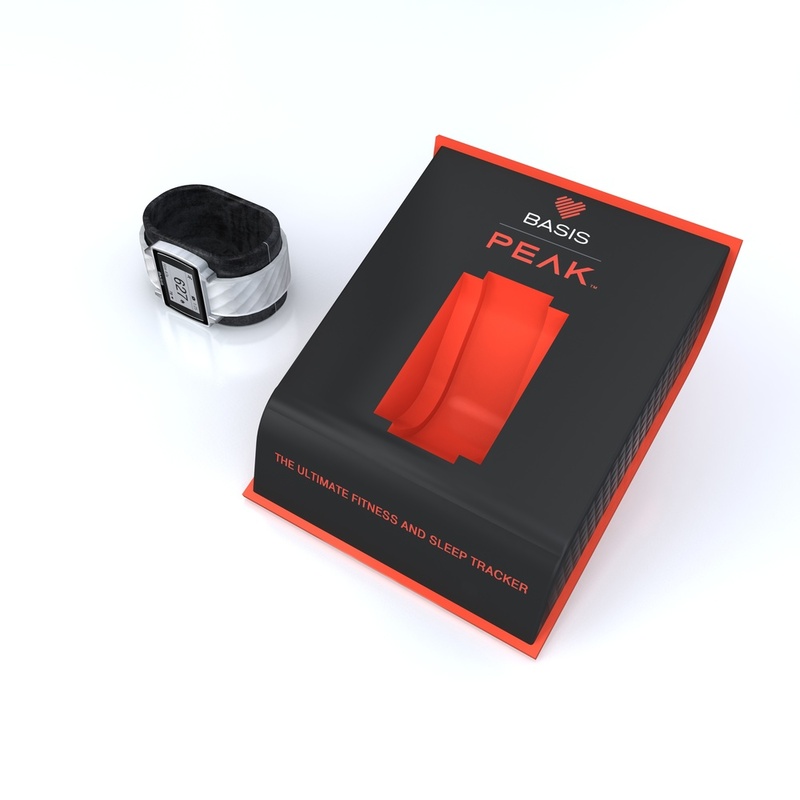 Countertops and under counter holder for Basis latest watch. Made of metal and acrylic. A few examples of countertops we worked on for WD. In acrylic, backprinted, and with interactivity.